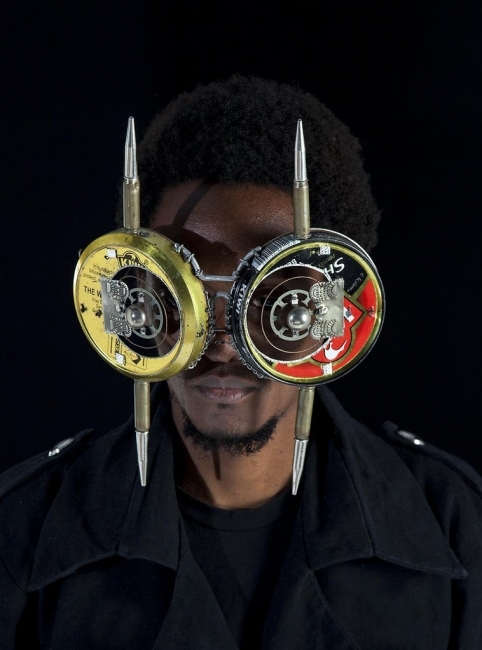 Cyrus Kabiru is a self-taught emerging Kenyan artist, best known for his elaborate and detailed sculptural spectacles or “C-Stunners”, made from found objects and recycled material sourced on the streets of Nairobi. A confident and individualistic artist, Kabiru is eloquent and forthright in explaining his practice and resolve to follow his own path. These ‘Afrodazzled’ spectacular bifocals are entirely his own invention and are intimately linked to his life-story.